Aquarian Goldfish Flake is a popular goldfish flake food that helps to maintain clearer and cleaner water and bring out the natural colour's of your fish. A daily food that offers complete nutrition, comprising proteins, carbohydrates, vitamins and minerals. Feed 2 times a day as a complete diet. Feed only as much as they can eat within 5 minutes. Remove any uneaten food. 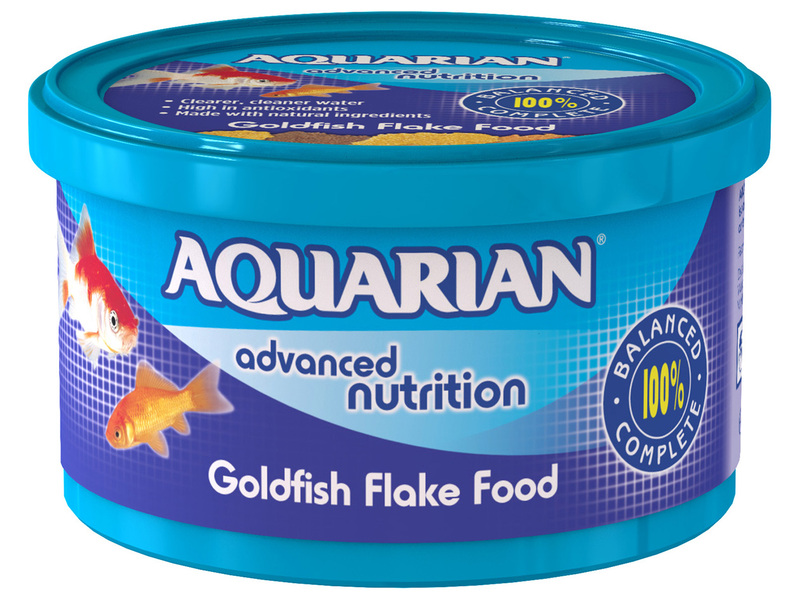 There are currently no questions for Aquarian Goldfish Flake Aquarium Food - be the first to ask one!